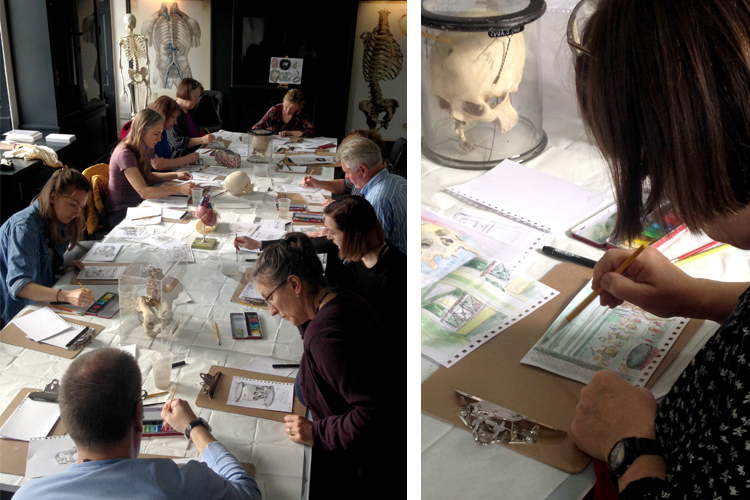 On Monday I ran two sketching workshops at the wonderful and facinating Surgeons Hall Museums in Edinburgh. 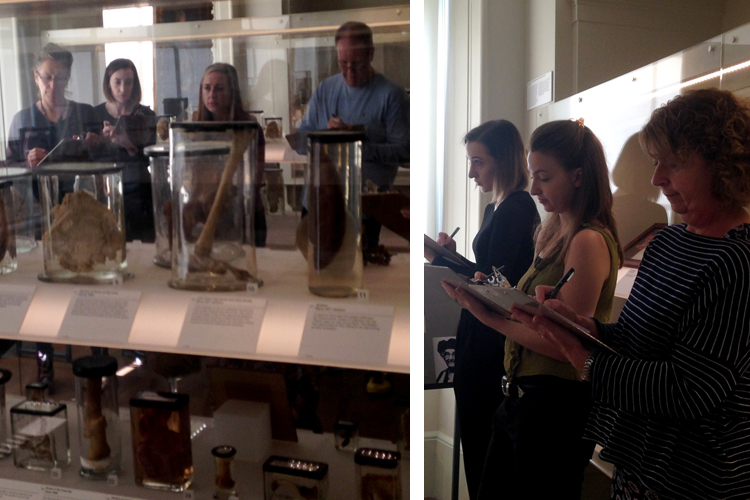 As it was the September Bank Holiday, I was asked to host two sketching events looking at the exhibits on show inside The Royal College of Surgeons of Edinburgh, which was initially established as a medical teaching resource but now welcomes one and all to discover the mysteries and wonders of historical medical science. I find looking at the specimens, ailments and medievil looking implements (that were used not that long ago) so interesting, and spot similarites to items found in hospitals today. Seeing and reading about the many ailments that at one time would of been fatal leave me with an feeling of gratefulness of being born in this age! Museums and galleries are a favourite of mine as I spent a lot of time there as a youngster, especially on rainy days 🙂 They are such an inspirational place to be in. 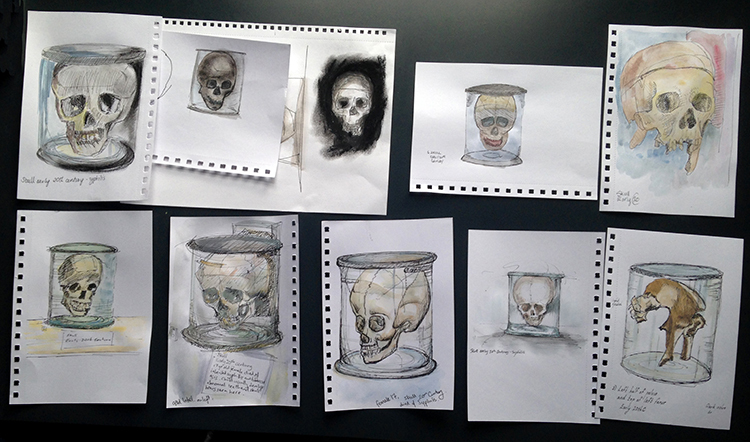 On the day we took pens and paper around the museum drawing diferent objects, sometimes as a group and sometimes on our own before heading to the Autonomy Lab to add watercolour and charcoal to our drawings. Here are some of the very good results from the two workshops, thanks to all who came along and had a go. Drawings all made with watercoluor, fine liner pens and charcoal. I thoroughly enjoyed my first sketching with you on Monday. Are there any more outings like this? I can’t seem to find any on the website.